Physical Custody – Child physical custody refers to the amount of time a child lives with one parent or another. If a child lives with one parent for the majority of the year, then this parent may have sole physical custody. Usually, the other parent will receive visitation rights with the child. Children that live with both parents equally may have joint physical custody of the child. Joint custody is easier when both parents reside close to one another as this would provide a stable environment for a child. 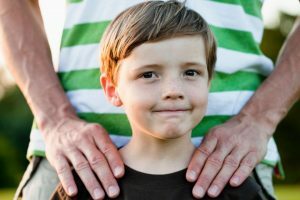 Legal Custody – Legal custody of a child will give a parent the right to make decisions regarding the child’s health, education, extracurricular activities, and religion. In most cases, both parents will share joint legal custody of a child. However, if one parent believes that the other will not make reasonable decisions, they may petition the court for sole legal custody. However, it is best for parents to have joint legal custody of a child, as it will give parents a chance to work together for the betterment of the child. The court can award joint physical custody and choose to provide sole legal custody to one parent. Present courts prefer awarding joint physical and legal custody to both parents as they understand the importance of both parents being part of a child’s life.